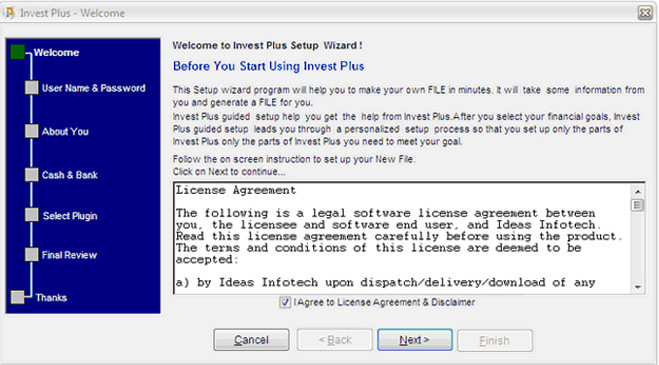 IP Wizard assists you to Easily Create Setup of Invest Plus and also create your own Database. 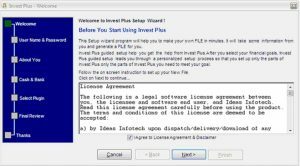 You just need to follow the Following Seven simple steps and Eureka ! 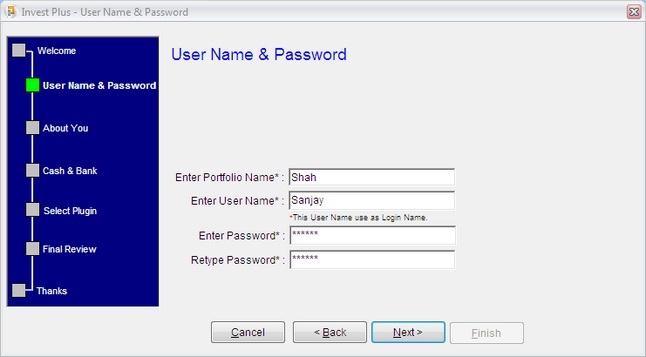 you are ready to use Invest Plus With your own database file. 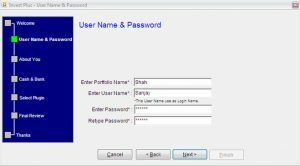 User Name & Password : You can have your Own Personal space which gives you the security you need for your Data by entering the user name you want and the desired password, once you are done with that, the wizard takes you to the next step.